Why do I need to service my car if there is nothing wrong with it? Regular maintenance of your car is essential to safety and can help ensure trouble free motoring. Whilst there may not be any immediate signs of trouble with your car that doesn’t mean that it won’t happen soon. Regular checks and repairs help to stop small problems before they get the chance to become big problems. How do I book an MOT? By clicking this link and using the contact form to get in touch with us! Our prices are highly competitive with no hidden costs, meaning the price we quote is the price you pay. Not just for servicing but also for wear-and-tear parts like exhausts, brakes and tyres. How do your spare parts comply with my cars manufacturer warranty? All spare parts supplied and fitted by Phoenix Motor Centre are either ‘Original Spare Parts’ (OSP) or ‘Spare Parts of Matching Quality’ (SPMQ) as defined in Article I, Sections (u) and (t) of European Commission Regulation (EC)1400/2002 of July 31, 2002, commonly known as the Automotive Block Exemption Regulation. This means that all Phoenix Motor Centre replacement parts are qualified replacements parts under vehicle manufacturer warranties. What is a diesel fuel injection system? If your diesel car is less than 5 years old then there’s a good chance it is fitted with a high tech Common Rail fuel injection system. This is the technology which gives you the high performance and low emissions you expect. Today’s diesel injection systems are kept going by a multitude of sensors, electronics and software which means specialist know-how and equipment are essential for servicing and repairs. What’s more, these systems operate at extremely high pressures which are enough to cause serious harm if not handled properly. Are there any signs that may suggest faults with my vehicle engine management, fuel and ignition systems? 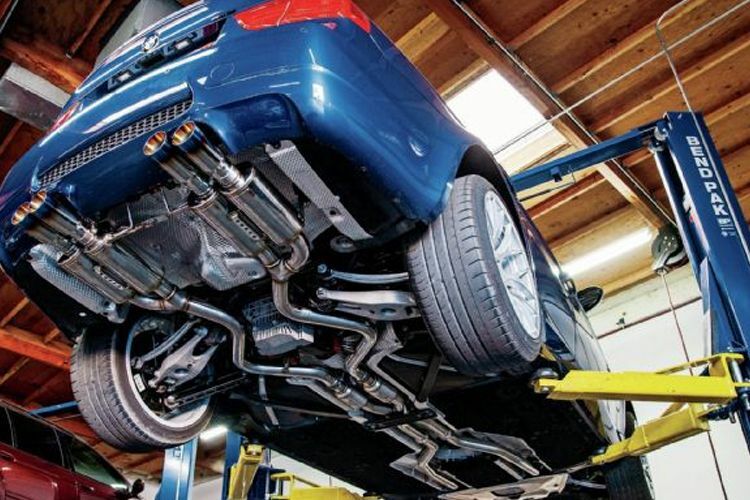 MOT test exhaust emissions failure due to excessive CO(Carbon Monoxide) or HC (Hydrocarbon) and NOX (Nitrogen of Oxides) content in exhaust gas. What kind of electrical testing can you perform on my vehicle? Why do I need to replace my brake fluid? Why does the air conditioning system in my vehicle need to be serviced? Over time, gas escapes from the air conditioning system, greatly reducing its efficiency. At Phoenix Motor Centre an air conditioning service includes removing the old gas from your system, holding your air conditioning system under a vacuum to ensure that there are no leaks, before filling the system with fresh, high quality refrigerant gas and re-integrating oil into the system. Additionally, we use a disinfectant smoke inside your vehicle to ensure that your air conditioning system remains smelling fresh, and free from any microbial or bacterial particles that can accumulate over time. Will going to an independent operator affect my warranty? Any operator has equal access to manufacturer training, diagnostic hardware, software and tools. Any service carried out in accordance with the manufacturer’s schedule will maintain the new car warranty. You can be sure that when your vehicle is looked serviced by Phoenix Motor Centre Ltd you will receive a high quality, expert service and great value for money. Whilst manufacturers can no longer tell you where to get your car serviced they can still keep the warranty work within their own dealer network. As a result of this while we can provide services we are unable to perform warranty work on your vehicle. If you didn’t find the answer you were looking for then click here to contact us!